venky dasar, 17 Mar 2013this phone is really awesome and low price phone...I bought one for my mom, the first thing i noticed is that i couldn't find how i can send a song by Bluetooth to my Nokia N8!!!!! AnonD-122208, 14 Mar 2013Hi, my first set was having this issue , phone restarts frequently during the calls. Then I re... more i have also white colour bro. AnonD-122208, 17 Mar 2013Hi All, those who are facing the restart issue during calls , have you found any solution ? pl... moreboss there is no solution of restart prob. sony service center replaced me two times, but again same issue is going on yarr... nonsense prob..
Hi All, those who are facing the restart issue during calls , have you found any solution ? please tell me as I am facing this issue still now .I have got a white xperia miro bought on 11th Feb,2013 .Please respond. can i buy this phone .please replay me. 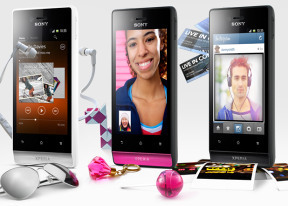 I am really confused which I should buy Xperia Miro or Xperia U. WHY? Hey there, I've been using Xperia miro for 4 months. Sometimes it does lag, but only for a short time. The camera is okay but for the front camera It really disappointed me. But overall I impressed with this phone. 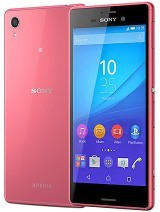 If u guys wanted a simple phone so I suggest u guys to buy Xperia miro. Why my experia miro it will automatically turn off or sometimes it will re start ifself ?what is the problem and also experia neo L, the same problem happen.. I think I should stick with ics rather than jellybean because when you upgrade the phone, it sometimes causes problems or so. So anyway the phone is great with its processor, cpu and OS. it lags sometimes but its okay. xperia miro all the way!! w3mann, 15 Mar 2013DONT BUY IT,,,,,,,, i am xperia miro user from 3 months,,,it lags heavily when multitasking... morebasically, this is a mid range phone, not a high end like galaxy s3 or so. its a budget phone for budget minded people. you get what you pay offcourse. i've got one and it serves me well, and i'm not expecting it to perform like a quad-core device.